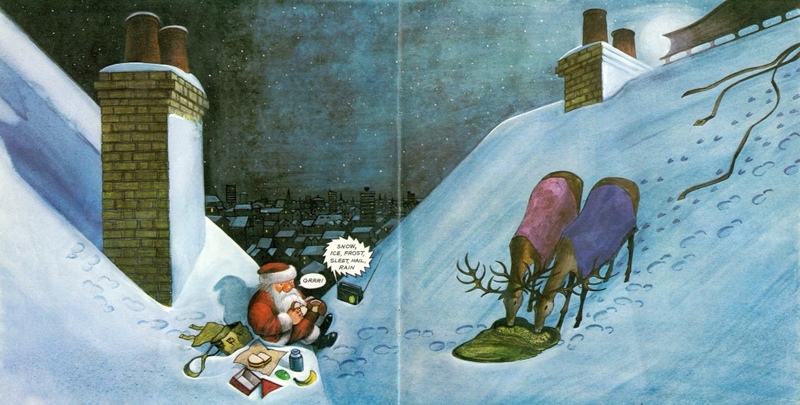 ‘Father Christmas is one of the most subversive children’s books that’s ever been written’, says Michael Rosen in an interview from the BBC4 series Picture Book. It’s not just that Briggs takes the benign Saint Nick and turns him into a grumpy old man who doesn’t even like his job, he also makes him human, and a working class human at that, taking inspiration from his own father. 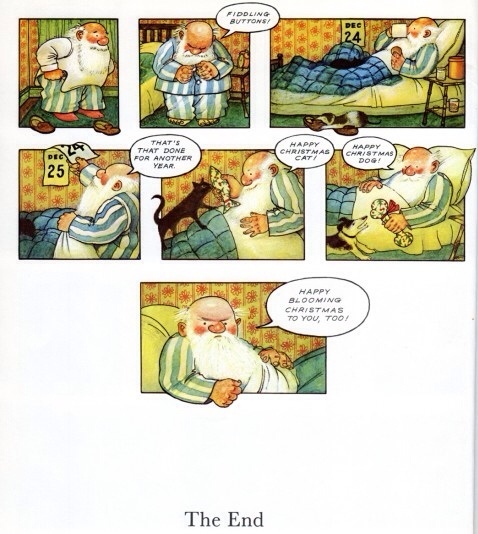 Now correct me if I’m wrong but that would make Father Christmas the first English language ‘graphic novel’. 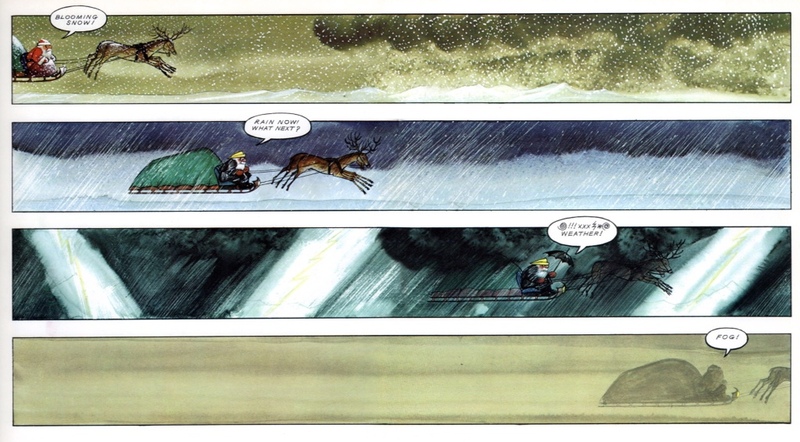 It was certainly the book that introduced me to the wonder of comics. 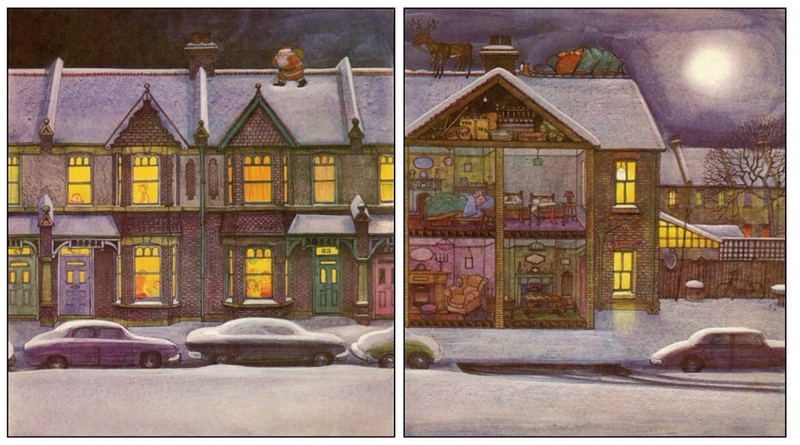 Briggs used the form brilliantly, realising the full cinematic impact, particulalry in the scenes when Father Christmas flies his sleigh through all weathers. I imagine what really appealed to me as a child was the fact that Briggs used a recognisably British setting. 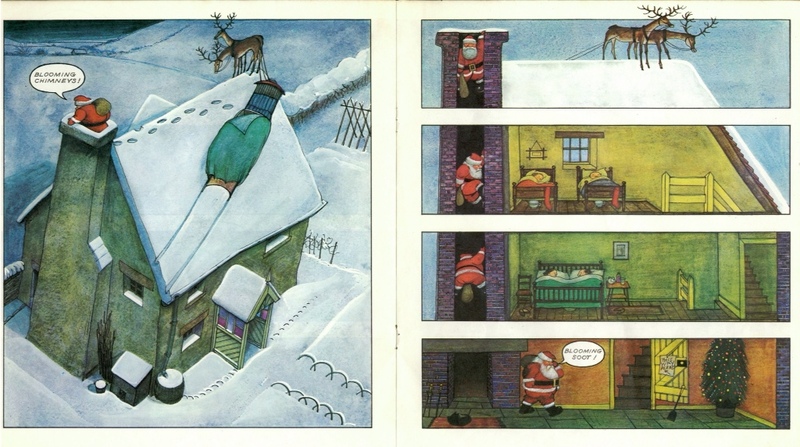 Father Christmas visits Raymond Briggs’ real home near Ditchling, Sussex, as Nicolette Jones writes ‘the layout of which is accurately reproduced in the book, down to the picture window looking from the living room onto the back garden and split stable door at the front’. ‘He also makes a delivery to the Edwardian Terrace Briggs grew up in.’ The cross sections of these streets and houses could well have been my own. 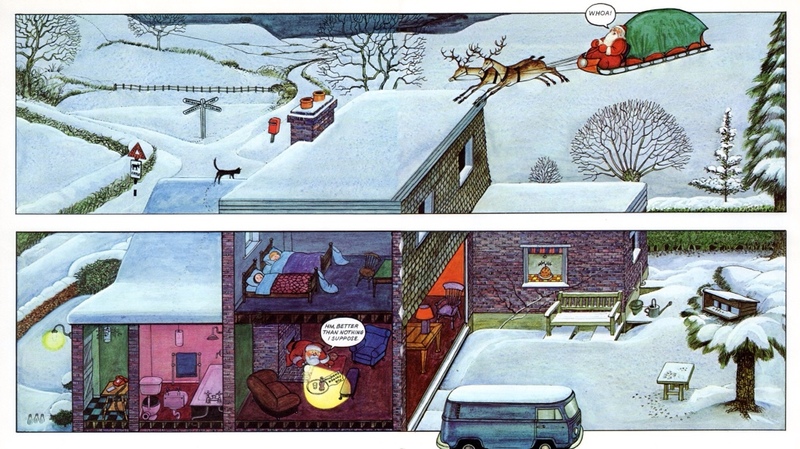 I was one of those children, face pressed against the window pane as Father Christmas trudged along the rooftops above. Though I did worry – are those wakeful children really going to get their stockings filled? Well that’s that done for another year. I’m going to settle down in my easy chair now with some lovely grub, a stack of holiday brochures and a drop of Cognac from good old Fred. Thanks for reading, and a Happy Blooming Christmas to you too! 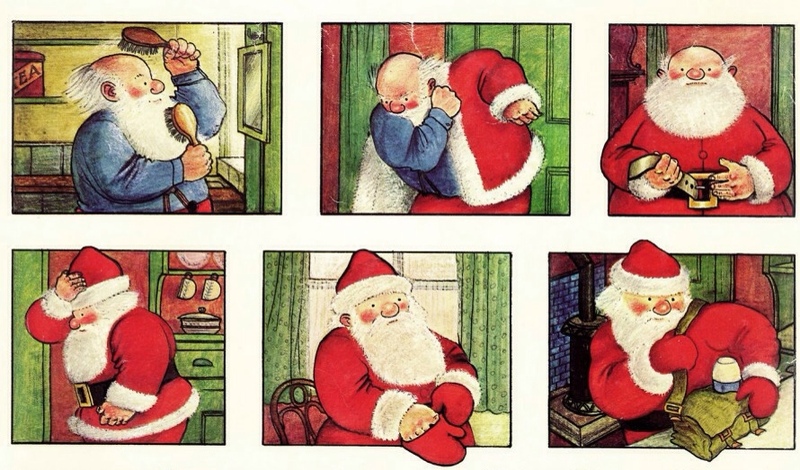 Tags: BBC4, Father Christmas, mich, Michael Rosen, Picture Book, Raymond Briggs. Bookmark the permalink.